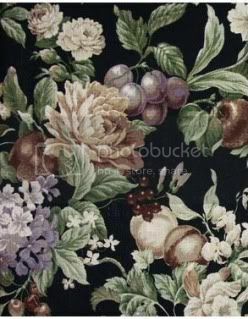 Richloom Anjou Black is a linen weave fabric with a large scale floral and fruit design. 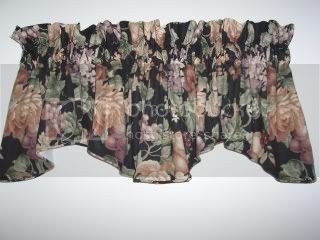 It features soft shades of tan, plum, moss green and burgundy on a black background. 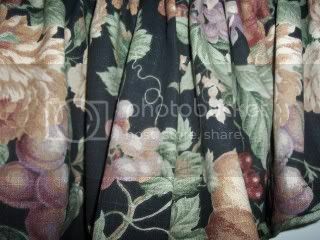 This windsor valance is approx. 80 wide and 20 long, is fully lined and has a 3 rodpocket and 3 header and is self-corded. Fits a standard size window up to approx. 40 wide.